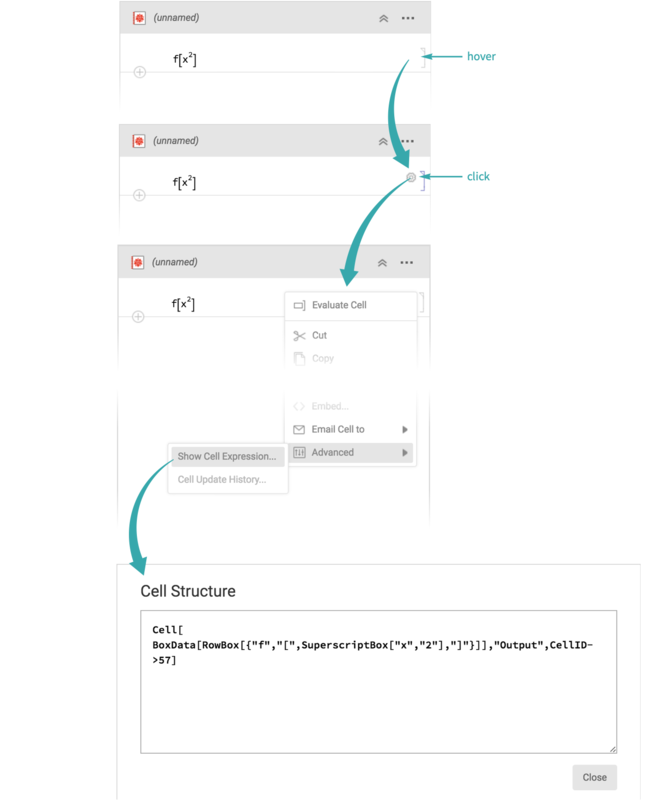 When Wolfram Language expressions are displayed in notebooks, they are represented by two-dimensional typesetting structures of “boxes”. Boxes normally work invisibly behind the scenes, but you can find out what box structure corresponds to a given expression. Input and output cells are typically represented by box structures, indicated by BoxData. Text and section header cells are typically represented by text strings or text structures, indicated by TextData. An expression’s box representation is not necessarily unique. MakeBoxes does not evaluate its argument. Use ToBoxes if you want the argument to evaluate before it is converted to boxes.